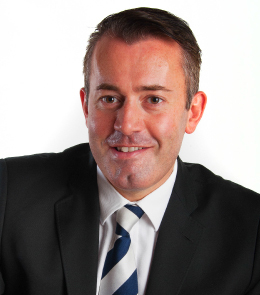 Following his degree in Taxation & Financial Law, Gareth spent a number of years with a large Independent Financial Adviser (IFA) company, before joining Ward Goodman in 2003 to help develop the Financial Services offering. Gareth is responsible for some of the firm’s key business relationships, which include the highly successful joint ventures with local law firms. Many of his clients have been referred to him, which is testament to the high level of service he provides and the trust he has built up with them. His specialist areas include financial planning for high net worth individuals, Inheritance Tax Planning and running joint venture financial services firms. Gareth also sits on the Ward Goodman investment committee, which develops and reviews the firm’s over-arching investment strategy for clients. Outside of work Gareth enjoys spending time with his wife and two young daughters as well as visiting his homeland of Wales to watch rugby at the magnificent Millennium stadium!